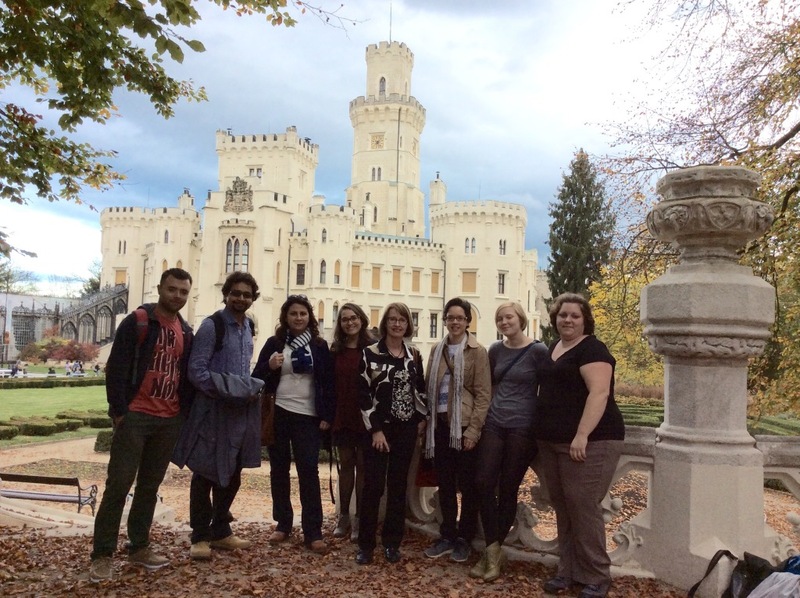 Travelogues, concert, food tastings, student stores, excursions, trips, and parties – someone would simply sum up into these few words the 2nd International Week University of South Bohemia 2014 (IW). Let’s remind ourselves what happened. 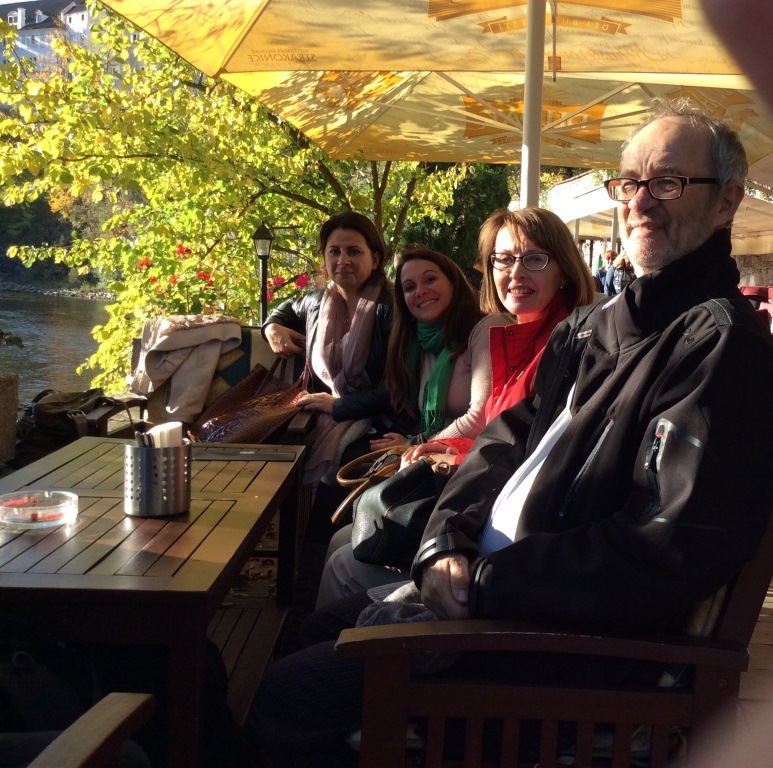 The first thing of the IW was that we welcomed arriving foreign teachers from France, Finland, Spain, and Japan. At 2PM started the official program with the workshop “What is Erasmus+” in the Club of the Academic library. Our students were talking about their experiences from studies abroad and were answering a variety of questions about their accommodation, living expenses, difficulties, and student lives in foreign countries. There were also available materials about contractual universities of the University of South Bohemia. While one group of students was attending the workshop, another 2 groups were preparing for a sightseeing’ tour – the Orientation Walk. The Orientation walk started at 3PM in front of the Academic library for foreign students, while for teachers in front of the hotel Clarion, where the foreign teachers stayed. 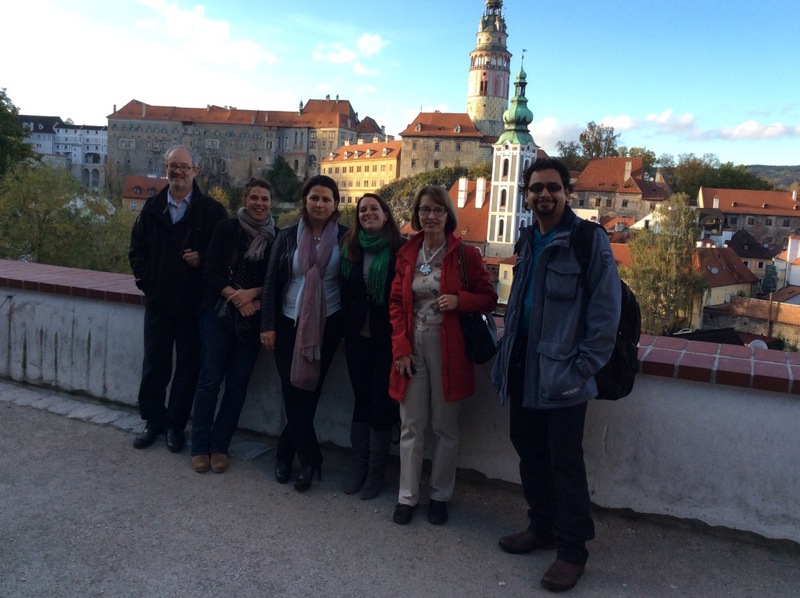 Students were shown the university campus in detail, while teachers got to know the beauty of České Budějovice. The Monday program ended magnificently, with a Concert of the South Bohemian Orchestra. You could have heard their classical and jazz music in the new hall of the Faculty of Education. Did you like their concert? Come during the Film Music Festival to the concert hall in the IGY center on 29 November 2014. You won’t regret it! The Tuesday breakfast was in style of the traditional food “It tastes so nice in South Bohemia”. 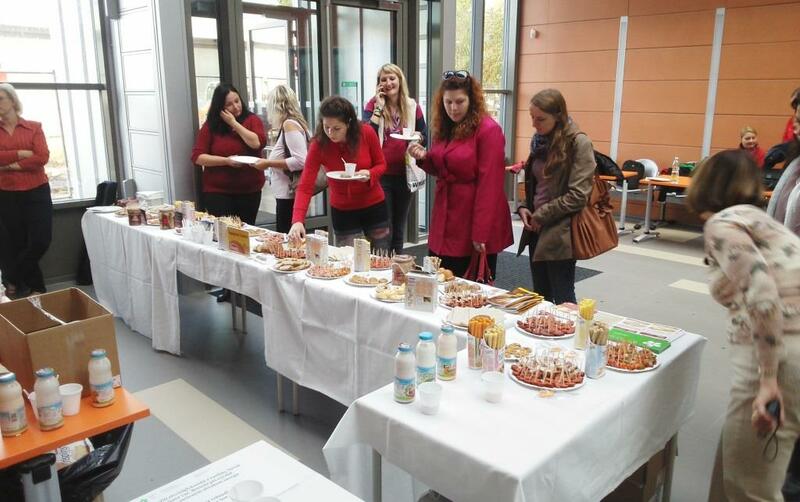 We were simply tasting the delicious local food: dairy products, baked goods, sausages, brawn and a lot more. 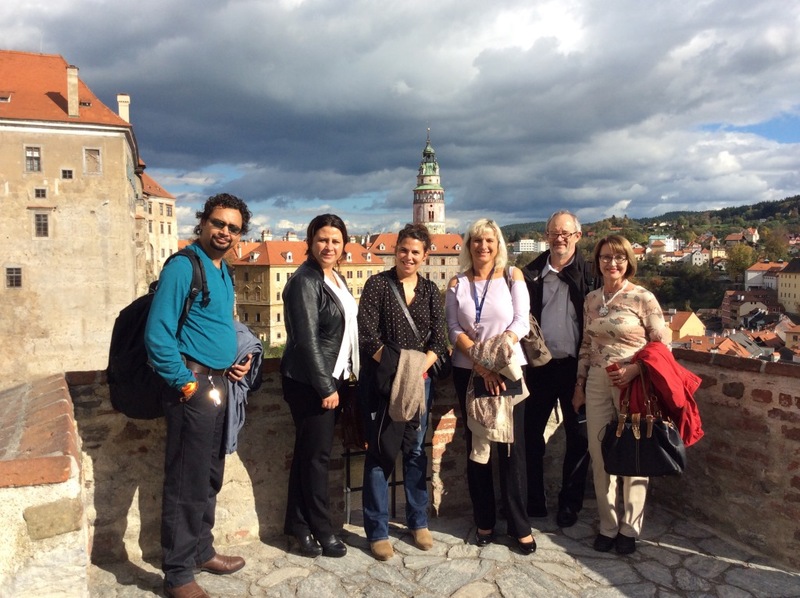 After breakfast, the teachers went for a trip to Český Krumlov, where they admired old buildings, the castle, and gardens. Keeping with the traditional Czech dishes, they ate their dinner in a traditional Czech restaurant. At 2 PM the door to the Club of the Academic library was again opened, this time for a travelogue. The Travelogue Afghanistan was presented by Ajmal Siddiqui in English and the club was bursting at the seams. It was a great presentation – thank you, Ajmal! This wasn’t the end of the travelogues, because we kept dreaming of foreign countries and at 18:00 started a funny presentation by Jakub Vlček in Czech about his travelling around the Galapagos. This presentation took place in the Rectorate building in the big meeting room. And guess what? It also was full! Do you miss travelogues? Come to the Club of the Academic Library on 9 December at 18:00 and learn something about the Balkans. On Wednesday, we started with the Student Flea market. We were selling our ill-fitting clothes, shoes, not needed accessories, dishes, and what we don’t need anymore. But that’s not all. You could also buy new products – hats and clothes sewn and knitted by our students. We continued with the Flag Parade – an event we planned together with the ESN VŠTE České Budějovice. We met at Lannova Street on the edge of the train station and marched together under the national flags through Lannova and Kanovnická streets to the Přemysl Otakar II. Square. After such an energy expenditure, we could not resist to the next event – Gastrofest, food tasting from different countries in the Klub malých pivovarů in České Budějovice. There was really a great variety of food: American cheesecake, two types of American cookies, Spanish Gazpacho, Spanish Tapas, Italian Caprese, Greek Tzatziky, French Ratatouille, a smoked meat, and, as the icing on the cake, a salty cake. At night we enjoyed the International party in the Bar Broukárna. On Thursday, we put every last drop of our energy into travelling. 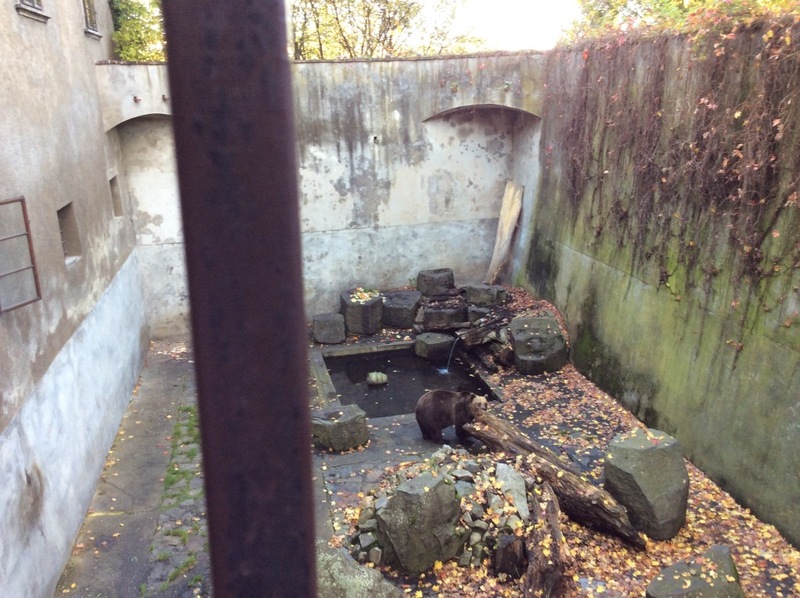 We weren’t allowed to forget to visit a town with a fairy castle – Hluboká nad Vltavou. Someone says it’s kitsch, someone admires it. It’s up to you. Despite your opinion, everyone knows what’s in Hluboká, and it’s true. „Prepare for winter with us!“, „Come and buy a gorgeous handmade hat!“ – You could hear these sentences in the Academic library on Friday. We were selling gorgeous handmade hats by our fellow students. Then we went out of the library and were standing on a meeting place for an excursion to the Budvar brewery. A lot of students were interested in the Budvar brewery, maybe because it was with a tasting of beer. Our guide was talking in English about the history and production of beer and she really let us taste their beer. 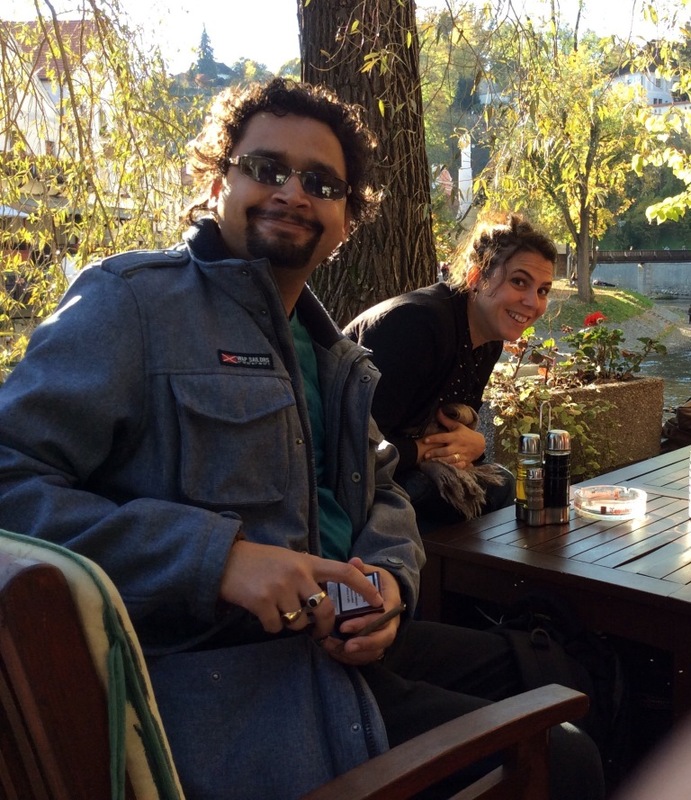 Afterwards, we went into the Budvar pub and were having a nice time talking to each other. On almost every day of the International week were workshops and lectures by visiting lecturers such as Método de los relojes. It was a course of a new method for teaching the Spanish language.